Cowpea (Vigna unguiculata) is a multipurpose legume crop cultivated around the world, especially in semi-arid areas. Cowpea is used primarily as a pulse, but the leaves and green peas are eaten as a vegetable and it provides fodder for livestock. Cowpea is a useful, shade-tolerant cover crop, adding fertility to the soil. The species includes 11 sub-species and many relatives, some grown as minor legumes and forage crops. Cowpea is an annual plant with a large tap root and alternate trifoliate leaves with ovate leaflets. It shows considerable diversity in growth habit, flower and seed coat colour. The standard flowers vary in colour from white, cream and yellow to purple. The seeds may be smooth or wrinkled and range in colour from white, cream or yellow to red, brown or black. The seeds have a marked hilum surrounded by a dark aril. 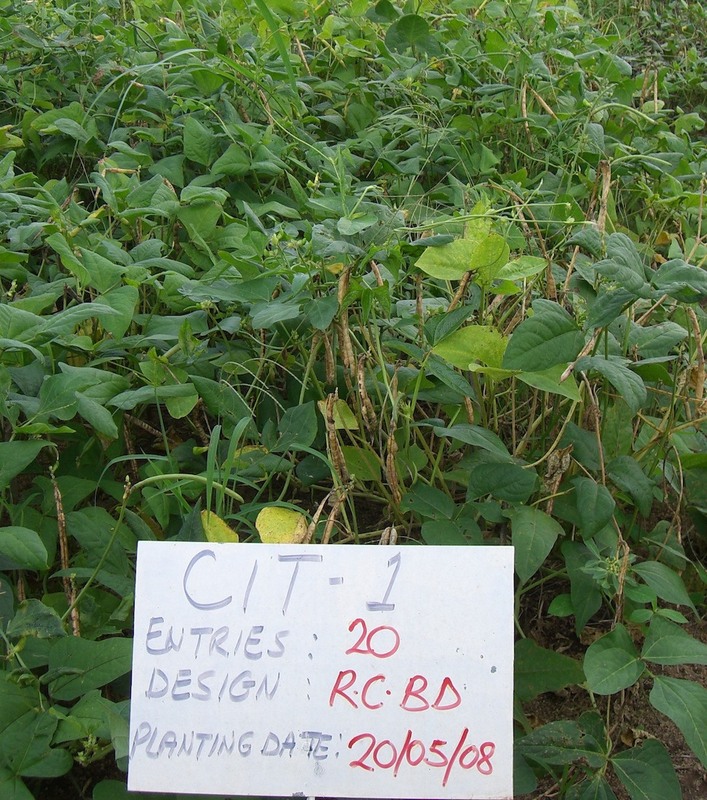 The centre of diversity of cowpea is in West Africa. The region remains the main centre of production. Cowpea is regenerated by seeds and is largely self pollinating but some care has to be taken to maintain genetic integrity because up to 2% outcrossing has been reported. The largest genebank collections are held by IITA in Nigeria and the USDA at the Southern Regional Plant Introduction Station in Georgia. Other large collections are held by the World Vegetable Center in Taiwan and the N.I. Vavilov Research Institute of Plant Industry in Russia.